Go for a luxury cruise dedicated to diving in the Marine Galapagos biosphere, one of the most exceptionnal biodiversities of the world. 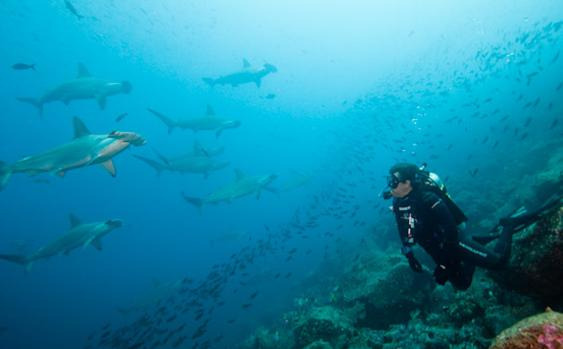 The Galapagos dispose of an incredible and endemic subacuatic life, from sharks to manta rays. This circuit for passionates constitutes without any doubt a major experience for divers in Ecuador. 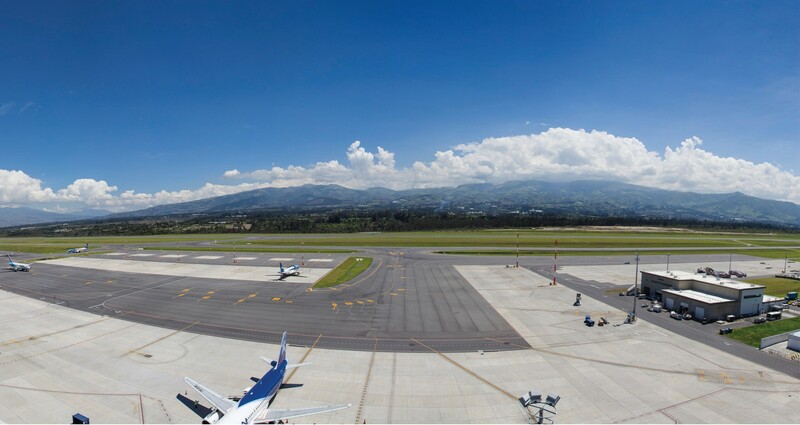 You will take a flight of about 2 hours from Quito to Baltra to Galapagos. Your rent include an integral skin-diving Aqualung 7mm with hood. Equipment dive : (incl: BC, Regulator, Computer, Night Dive Light, Mask, Fins, Snorkel). PUNTA CARRION and BARTOLOME PUNTA (Santa Cruz) AM : you go for 2 dives at Punta Carrion PM : you'll have another dive at Bartolomé Punta. Then you'll go for a short walk to hike the island summit. Back on the Aggressor, you'll sail to the North, crossing equatorian line on your way to Wolf island. You’ll spend this day diving (up to four dives per day) the legendary islands of WOLF & DARWIN. Most experienced divers will agree, Wolf and Darwin are the best diving sites in the world! 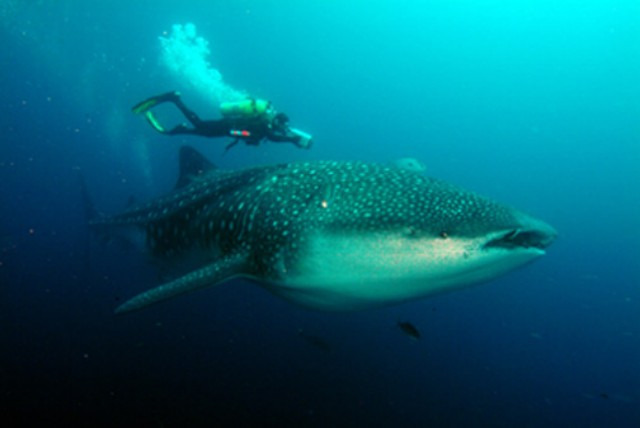 Whale sharks are common here from Mid May through November. At The Arch at Darwin, you will see hammerhead sharks either individually, in small groups, or large schools. Bottlenose dolphins are common. The reef contains many warm water varieties of fish found nowhere else in the Islands. Once you see Wolf and Darwin – you’ll immediately understand why there are no shore excursions on this part of the cruise – there is no way up the vertical cliffs! Darwin Island: Considered by many experienced divers as the very best dive site in the world, The Arch at Darwin island (actually several dive sites depending on where you enter, currents, etc) honors its reputation. It is warmer by a few degrees than the central islands. In one single dive you can find schooling hammerhead sharks, Galapagos sharks, large pods of dolphins, thick schools of skipjack and yellow fin tuna, big eye jacks, mobula rays, and silky sharks. From June to November, it is not uncommon to encounter whale sharks in numbers of up to 8 different individuals in one single dive. The presence of occasional tiger sharks, black and blue marlin, and killer whales adds on to this amazing diving experience. If you still have time to look for smaller stuff, you’ll find octopus, flounders, and an enormous variety and abundance of tropical fish. Darwin Island is the biggest jewel on the Galapagos Crown. Wolf Island: One of those magical islands, with several dive sites to choose from. If you want to see sharks, you are at the right spot. This is a place for schooling hammerhead sharks, large aggregations of Galapagos sharks, and occasionally whale sharks. Seeing dolphins, large schools of tuna, spotted eagle rays, barracudas, sea lions and sea turtles is common. The bottom is littered with hundreds of moray eels, many of them free swimming. Being several degrees warmer than the central islands, you can look for many representatives of the Indo-Pacific underwater fauna. - 5 dives at Wolf : 2 in the morning, 2 in the afternoon and 1 night dive. Cabo Marshall (Isabela island) or Wolf Island. - 2 morning dives at Darwin and 2 afternoon dives at Wolf (from June to December). Located in the island of Ferdinand, it is known for offering one of the best drift dives among the area and is best spot for spotting marine iguanas and penguins. Cape Douglas is indeed one of the most exciting drift dive spots in the island. The currents are moderate; The site is rewarded for sightings of sea lions and fur seals mingling with the marine iguanas and penguins. You can access the site simply by just a boat. Isabela is the biggest island of the archipelago, and it is shaped roughly like a seahorse. On its northwestern side, in what would be the “mouth” of the seahorse, is Vicente Roca’s Point. Here the remains of Volcano Ecuador forms two coves with a bay protected from the ocean swells. Part of the volcano slid into the ocean, leaving a spectacular cutaway view of the volcanic caldera. 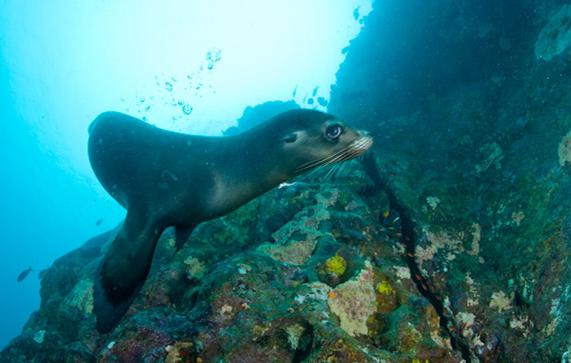 The upwelling of Cromwell current, one very rich in nutrients, gives rise to an abundance of marine life which, in combination with the protection of the coves, make Punta Vicente Roca one of Galapagos’ top diving destinations. 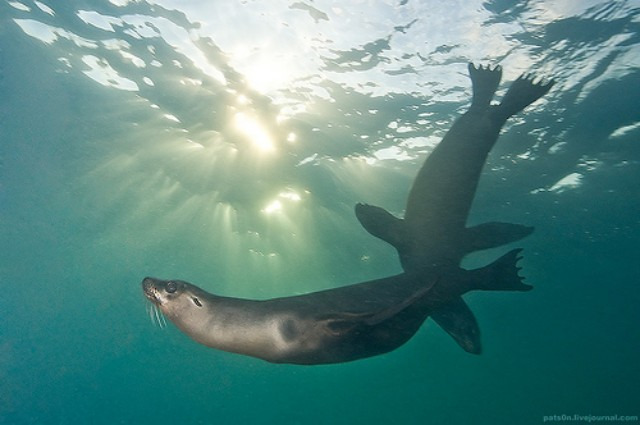 Sea lions, turtles, mola-mola (sunfish), puffer fish, Marlin, Galapagos’ penguins and, with some luck, even the Galapagos’ bullhead shark are often present here. Among the smaller fishes Punta Vicente Roca offers you frogfishes, electric rays, seahorses and the red lipped batfish. With your naturalist guide on a tender ride you will have the opportunity to encounter Galapagos Penguins, Marine Iguanas feeding, Flightless Cormorants, also amazing snorkeling with hundreds of sea turtles! Only one sign from human history has been left at Punta Albemarle – an abandoned radar station used for a short period during WWII by North American troops to prevent Japanese war ships from closing in on the Panama Canal. Important mangroves thrive here among relatively recent pahoehoe (smooth) lava flows and serve as nesting areas for the only Flightless cormorants in the world. The largest of the marine iguanas also make their home here and you can observe them as they march down to the water’s edge to munch on green and red algae every afternoon – a peculiar sight as they descent together in this display of adaptation to their unique environment. SANTIAGO (COUSIN’S ROCKS) - SANTA CRUZ ISLAND (HIGHLAND) AM : Cousin’s Rock – 1 dive: Cousin's Rock is located off the east coast of Santiago (north of Bartolome). It rises barely 32 ft (10 m) out of the water, to the south lies a big rock separated from the island by a narrow channel. The combination of coral covered rocks sheltering a variety of smaller creatures, a huge variety of tropical fishes and the presence of large animals make Cousin’s Rock one of the favorite sites in Galapagos. You can also see here sea lions, turtles, eagle rays, white-tipped reef sharks, and mantas in the warmer months (December / May). Black corals, small hard corals, sea fans, hydroid bushes and red sponges grow in every direction, and because of the many ledges on the wall, small fauna populate this site. Among your companions you’ll find hawkfish, nudibranchs, Galapagos seahorses, octopuses, and even frog­fishes. 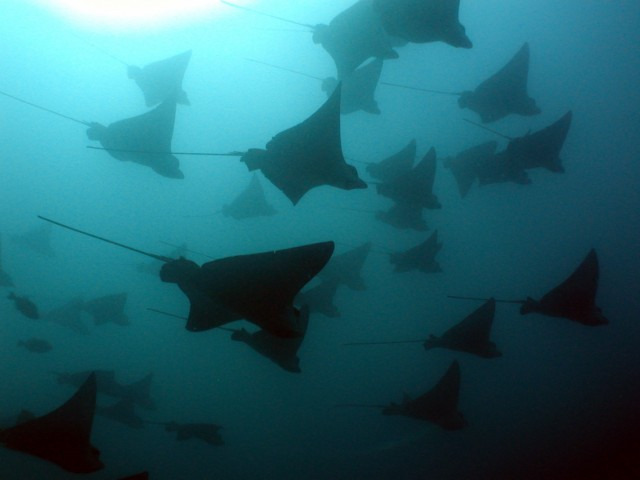 In the realm of pelagics you’ll see mobula rays, mantas and sharks (whitetipped reef and hammerheads), sea lions and large groups of spotted eagle rays. PM : Highlands of Santa Cruz Tour (Land visit) Santa Cruz is an island of extreme geological interest and beauty. Out of the different islands in Galapagos many of which are young, volcanically active and dominated by rock formations of all different styles and colors, Santa Cruz tells a “greener” side to the Galapagos story. 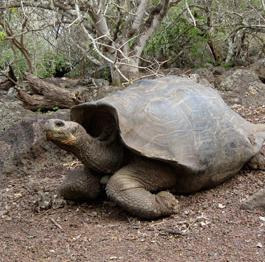 Here you can see giant tortoises in misty moss-laden forests, woodpecker finches, barn owls, lava tubes (they look like huge man-made tunnels, yet they are a result of sheer nature) amidst the picture-perfect tropical colors of the Pacific. 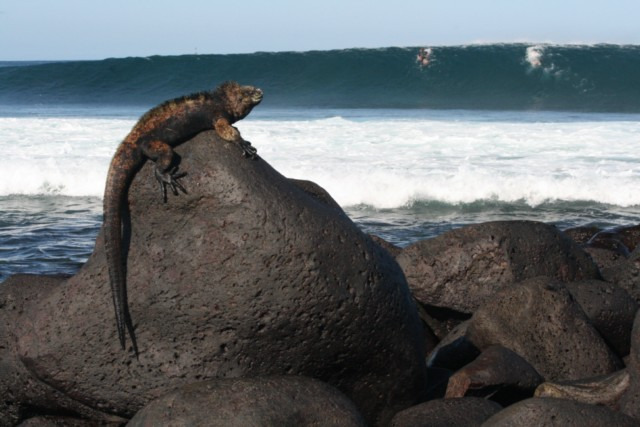 Santa Cruz gives you a sneak peak at what the other islands in the Galapagos are evolving into. After the hike, you can walk through town, shop and visit the turtoise-breeding centre Fausto Loreno at Charles Darwin interpretation centrer. You will have dinner ashore at a local restaurant of your choice (please note this the only meal not included in the cruise). The Aggressor will moove from Itabaca Channel to Puerto Ayora. At 10 pm the boat will depart for Baltra. BALTRA AIRPORT - FLIGHT BACK After an early breakfast, check-out at 8.00 am from the Aggressor and land transfer to Baltra Airport where you will connect to your flight back to the continent. Domestic flight Baltra - Guayaquil.